Blue Corn Comics is producing "A Day to Remember," an illustrated short story about the September 11 attacks on America. Written by Rob Schmidt and illustrated by Rob Davis, the story features four Native characters reminiscing about where they were on that fateful day. It shows that neither Natives nor Americans in general are of one mind on the tragedy. "A Day to Remember" stars Billy Honanie and Drew Quyatt, two Pueblo Indians. They and their friends Pearl and Al Masayesva each tell where they were on 9/11. They're alternately sad or angry or thoughtful—or all three. "The powers that be have told us how to react to 9/11," said writer/publisher Rob Schmidt. "You're either with us or against us, claims the President. Well, I don't buy it, and neither do many of the people I know. This story reflects their diversity." 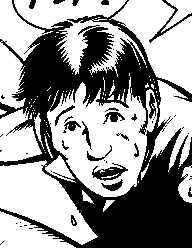 Billy and Drew are the heroes of the self-published comic book series PEACE PARTY. PEACE PARTY takes the position that no person or group has a monopoly on truth. Its multicultural perspective means questioning the conventional wisdom. PEACE PARTY focuses on Native culture and life because of what they tell us about America's values. "I go by what Felix Cohen, the modern founder of federal Indian law, said when he called Indians the miner's canary," says Schmidt. "As Cohen noted, 'Our treatment of Indians, even more than our treatment of other minorities, marks the rise and fall of our democratic faith.'" Blue Corn Comics will post a new page every few days until "A Day to Remember" is complete. After that it will be colored and eventually it will appear in print. More illustrated short stories will follow. 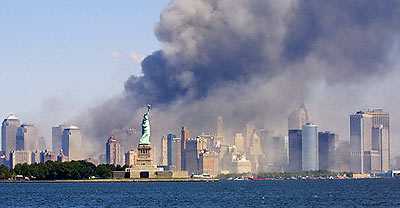 To see the story and read the script, go to the PEACE PARTY 9/11 Story. For questions or information, contact Rob Schmidt at robschmidt@compuserve.com.